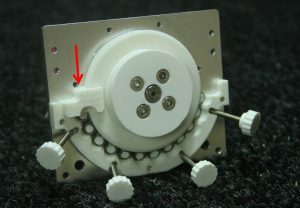 4 pin plug for stepper motor (if required). 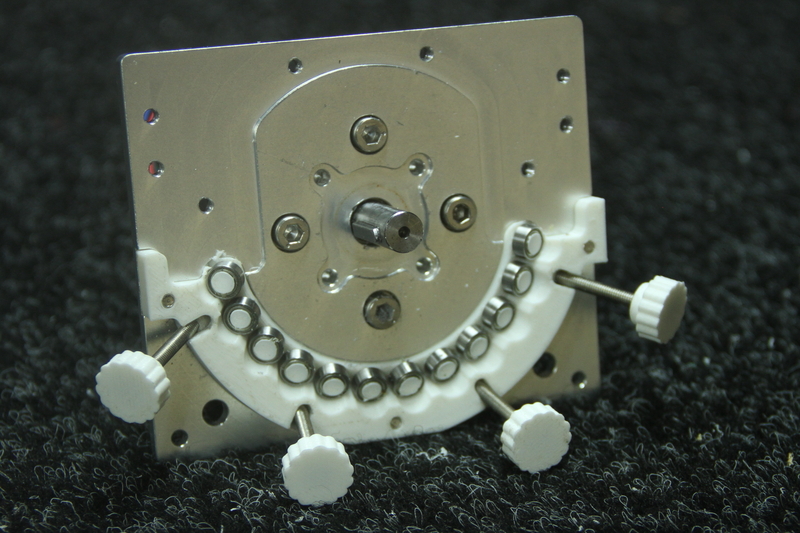 Screw the 4 x tension screws into roller inserts located within lower bearing race. If the position of the rollers have moved during transit, the race can be easily removed by unscrewing 3 x holding screws located on the underside of the base plate. Slide thrust bearing over motor shaft. 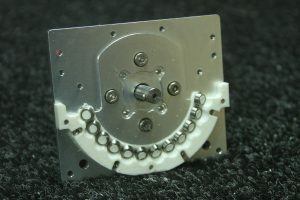 Slide clamping hub over stepper motor shaft. This should be a tight fit but should slide on easily with a little effort. 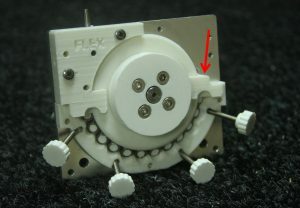 Tighten clamping screw to remove any slight movement that may be present. 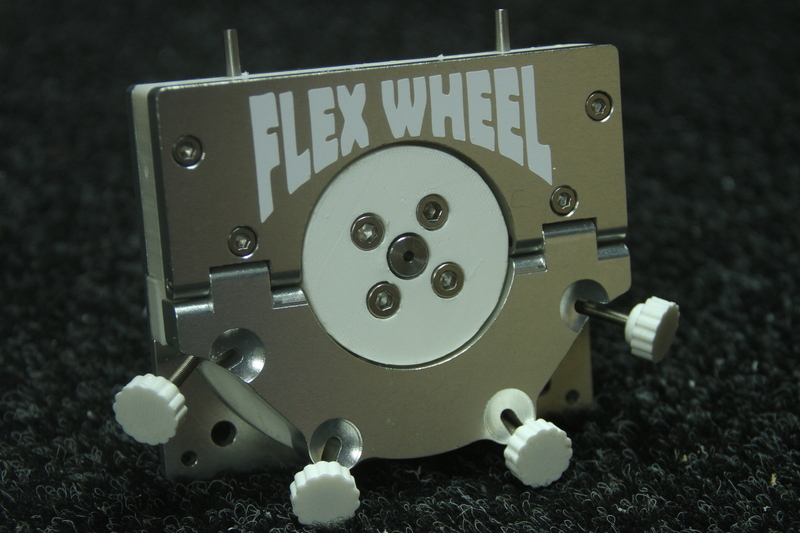 Press Flex Wheel firmly onto clamping hub. Insert (4) M4 x 10 socket head screws – tighten in an alternate sequence in multiple steps in order to allow the Flex Wheel to sit square and flush onto the hub. 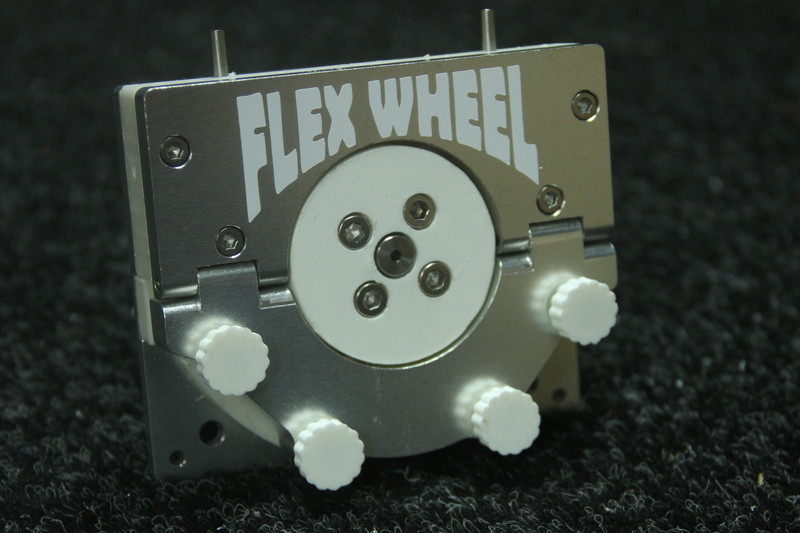 Manually spin the Flex Wheel and check for parallel alignment to the base plate. 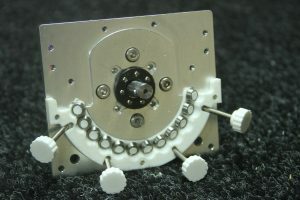 Place the first slide clamp into position as shown. If you are assembling a new unit this may be a little tight and the tip of a screw driver may help to push and lock it into place. Slide filament guide into place allowing the filament feed tube to sit between the flanges of the Flex wheel and to sit within the slide clamp. 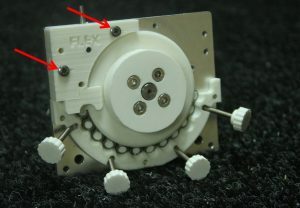 Place (2) M3 x 16 locating screws into holes as indicated by small marks. Nib up screws – firm is sufficient – no need to over tighten. 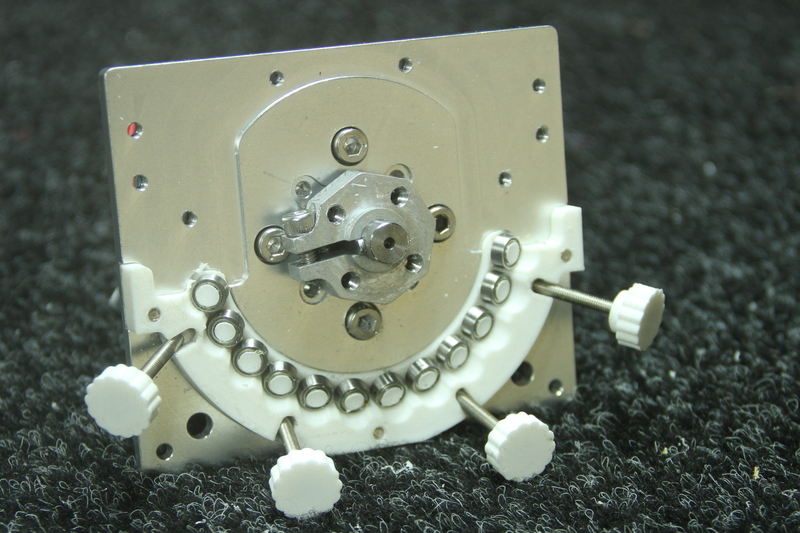 Place the second slide clamp into position. This slide clamp may even be tighter to fit then the first – rotating the flex wheel with your fingers and using the tip of a screw driver will help to lock it into place. 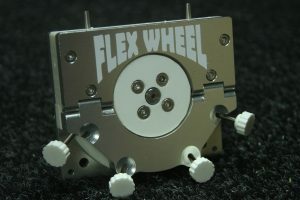 Place the second filament guide into position – making sure that the flanges of the Flex Wheel sit over the internal guide – a fine flat blade screw driver may help with this. 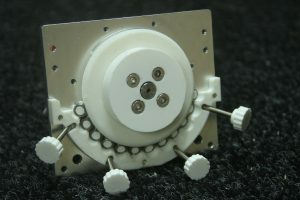 Secure with (2) M3 x 16 screws. 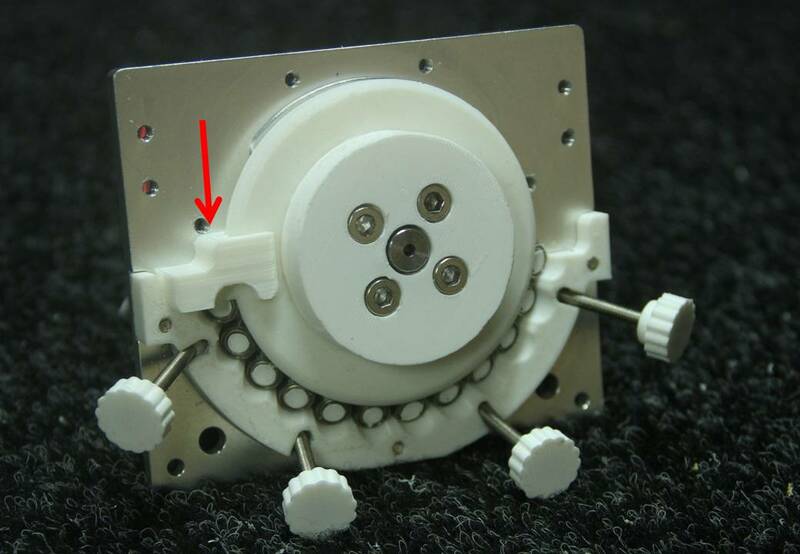 Place top plate onto unit and secure with (4) M3 x 20 socket head screws. 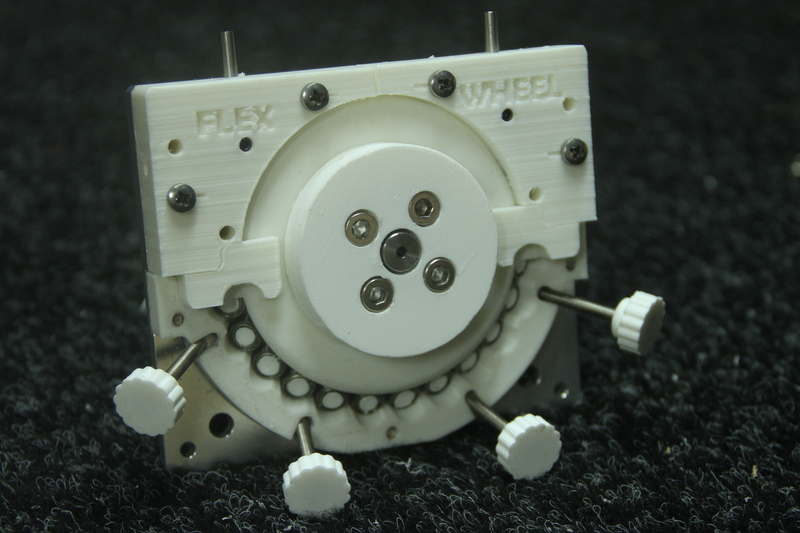 Your Flex wheel is now ready for calibration. Refer to USERS GUIDE for details.